This might be a controversial piece, however bear with me. I’m going to address this from both a hiring company and job seeker point of view. As a bonus you’ve purposely got a longer blog so both parties can see it from each perspective as all too often some of these messages are conveyed independently of each other and neither party sees the full picture. How does this apply to hiring companies? 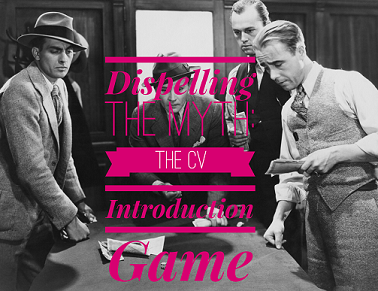 Most hiring companies (large & small) believe that whoever sends the CV to them first ‘wins’ the introduction. If they’ve appointed a couple of different recruiters to work their vacancy, they believe that if Recruiter A (let’s call them ABC recruiters) presents them with a candidate’s CV, then shortly after they receive the same candidate CV from Recruiter B (let’s call them then XYZ recruiters) it’s ABC recruiters that automatically ‘wins’ and should they wish to arrange an interview then this should be arranged through Recruiter ABC recruiters. It could be that ABC recruiters has taken a CV from a jobs board that looks ok for the job or received an application, again that looks ok, yet has made no contact with the candidate about your actual vacancy and has simply sent the CV to you to endeavour to ‘win’ the introduction. Wow really?! Yes, it pains me to say this, this does happen and unfortunately quite frequently. Especially when companies are using multiple recruiters to fill their vacancy and inadvertently create the horrid CV-race (How your PSLs are damaging your recruitment and you don't even know it). The reason you may get the CV from XYZ recruiters later could be because XYZ recruiters has acted in a proper manner i.e. has taken the time to arrange a convenient time to actually talk with the candidate about your company & position available, has emailed the job description & allowed the candidate time to read it and confirm to the recruiter that your role is something they’re definitely interested in pursuing or that the candidate is keen to proceed based on the conversation they’ve had with XYZ recruiters with the Job Description to follow that day – I should point out that all this can rarely be achieved in 10 minutes! If there are any agencies that you do not wish to do business with because either their fees are too high or you do not like the way they operate then you should contact them immediately on receipt of the CV and inform them clearly that you will not be doing business with them, that you have received the same CV from another agency who you will be arranging an interview with. If they do you a deal and you decide to proceed with that agency then contact your original preferred agency to cancel any interview and make it clear you will not be proceeding with them. It is best to put this in writing and keep a copy for your records noting the time and date of any email or telephone conversation and its contents. You can decide which recruiter you wish to ‘engage’ to arrange interviews etc. However, as tempting as it may be to just focus on what your cost of hire could be, it’s still worth carrying out some due diligence in terms of checking out who has actually confirmed to the candidate that they’d be approaching your firm and asking for evidence. As stated above, it’s up to you to decide which recruitment firm to engage to arrange the interview for you. It’s also a misconception that if you are provided with an email from the candidate confirming they’d like to be represented by a particular recruitment firm that you have to accept that; you don’t. However, it may be worth taking this into consideration as this will give you a good indication as to how the recruiter has acted on behalf of both you and the candidate (see 1 and 2 below). Our recent research paper showed just how important a strong employer brand and good communications are to candidates/future employees. Ask all recruiters who have submitted the CV to categorically prove they have spoken with the candidate and followed it up with an email attaching the Job Description for the candidate to peruse. Ask them for evidence to show they’ve emailed the candidate following any discussion they’ve had confirming they will be forwarding their CV to your company. How does this apply to/affect job seekers? You decide you’re looking for your next challenge. First & foremost, you quite rightly upload your CV on one (or maybe a few) of the jobs boards. As recruiters have the ability to CV search, you then get inundated with calls/emails from numerous Financial Services recruiters (because let’s face it within the Financial Services profession it’s currently a candidate driven market – i.e. a U-turn on where we were a couple of years ago). How do you decide who to get back to? It may be worth considering how you were approached? Were you bombarded with potentially awkward calls during your working day? Or were you approached with a polite, detailed email addressed to you & your type of experience with details of any potentially suitable roles for you? Have you checked out their website for testimonials or even the LinkedIn profile of the person trying to reach you? You may have a great CV, you’ve applied for a job, via ABC recruiters advert on a jobs board, but you’ve not been as easy to reach as they would like – so guess what? They feel you’d be happy if they just cracked on, on your behalf, because let’s face it you’ve applied so it must be what you’re looking for eh?! Without any consultation with you, they just present your details to the company they’re working with without your prior knowledge or agreement because they want to ‘win’ the introduction race (as above). Locally the Financial Services Profession is an incestuous one; so a good recruiter that knows the marketplace well should know this and therefore ABC recruiter really shouldn’t be sending off your CV without even having spoken with you first and gained your permission to release your details to a prospective employer. If, at a later point, ABC recruiter does manage to speak with you they’ll run the role via you. If you say it’s not for you they’ll keep quiet, if you’re keen they’ll say they will present your details and come back to you (knowing that they already have sent your CV!). You may speak with XYZ recruiters who talks you through an opportunity that you agree to be put forward for, only to find out later that your CV has already been sent to that prospective employer without your prior knowledge. At this point, you’ve not yet had any conversation with ABC recruiter who’s already punted your details across. This is the last thing you want, although some employers are becoming wiser to bad practices, some could take the view that you are not in control of your applications; by and large they don’t like receiving the same CV from different parties as it creates more work for them in terms of the whole ‘introduction’ issue and could, worst case scenario, jeopardise your interview prospects. If you’ve applied for a specific role online via a jobs board that you believe you’re ideal for, to what essentially is an anonymous job advert, my advice would be to follow up with a call or email to the recruiter/recruitment firm who’s handling the role directly as soon as you’re able. Don’t necessarily sit back & wait for them to contact you. You may have already deduced, from the jobs board, that this one position could be being advertised by a number of different recruiting firms so it is still worth carrying out the same due diligence, i.e. check website, testimonials, LinkedIn etc before contacting the recruiter. If the recruiter contacts you quickly following your application, and you’ve checked them out online, get back to them as quickly as you can, even if it’s just to say when the best day/time to call you is. This could help speed your application up and help prevent say ABC Recruiters just sending your details off without your knowledge. Did they tell you upfront who the job is with and provide you with a role profile? Were they able to provide you with all the information you require relating to the company and the position available? Do you trust them to assist with your CV preparation and to present you properly for the opportunity? Did you ask them what type of relationship they have with the company they’re representing? Were they able to talk you through what the overall interview process would look like including timescales etc? Did you get a good feeling that the recruiter would be well-placed to assist you at each touch point along the interview/hiring process? Bearing in mind you may be applying for a number of different positions, it’s important for you to keep control of your job application process and make a note of exactly who you’ve spoken with (consultant name/recruitment company/date/time), what role(s) were discussed and with what prospective employer(s) and what the timescales are for feedback etc. Taking that little extra effort up front and following these key steps will dramatically improve your experiences from both the hiring firms and job seekers perspective. They may seem like small points but they’ll make a massive difference.